Extreme Paranormal Radio..exclusively live on BTR. 8PM Thursdays. 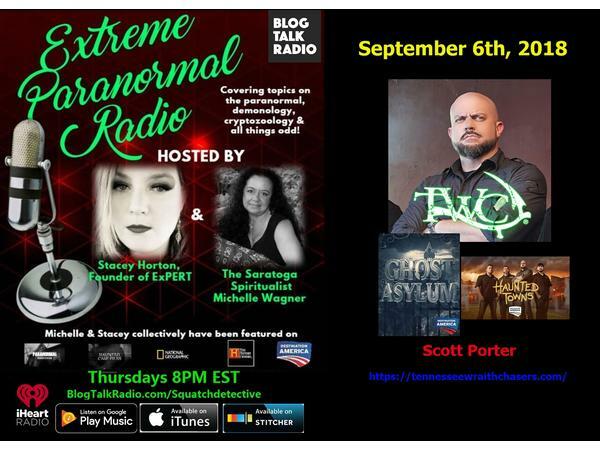 Tonight Stacey and Michelle welcome Tennessee Wraith Chaser's Scott Porter, of Ghost Asylum and Haunted Towns.